In our brewery tour, you can see our mash-pressing process with the Sase style pressor passed down from our ancestors and used since our founding in 1880. This increasingly rare pressing method is now only used in about 10% of Tochigi breweries. 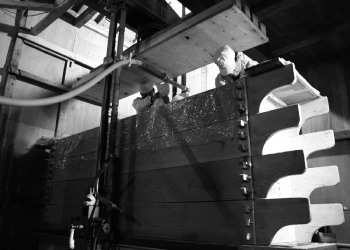 If your tour coincides with our actual pressing process, you can try freshly extracted sake on-site. 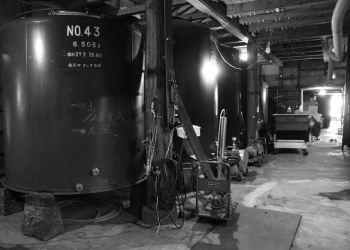 Experience the pure quality of carefully crafted sake made from the clear underflow water of the Nikko Mountain Range. We welcome your visit and look forward to sharing our flavor of pure sake with you! You'll also have a chance to purchase sake here at our brewery's shop for gifts or souvenirs to take home. We are awaiting your visit during your trip to Nikko. To help us prepare the optimal tour with proper guidance, we ask interested parties to make reservations in advance. We strongly believe in preserving the traditional style of sake making, and hope to share with as many as possible the pure flavor of sake derived from the careful work of human hands. Also we have been featured on television and various other media. By all means,please join our brewery tour! We take reservation requests by email or telephoneduring our business hours: 8 am to 6 pm on weekdays. Please call us for a last-minute reservation. 10 am to 4 pm *Closed 12 pm to 1 pm for lunch. *Please reserve your tour in advance. Q1．Can I reserve a tour just for myself? Q2．How long is the tour? Q3．Do you offer sake tasting? Q4．How many people can attend one tour? Q5．What are the tour's available hours? Q6．How can I make a reservation? Can I reserve a tour just for myself? Of course. We're happy to provide the same guided tour for individual customers. ▲Go back to the List of Questions. The tour lasts about 20 minutes. The highlight of the tour is the traditional Joso pressing process which requires high skill of the kurabito workers to carefully extract the sake. *Actual pressing process only takes place from January to March. Do you offer sake tasting? Yes, if your visit coincides with our actual pressing process, you can try our freshly extracted sake at no extra charge. 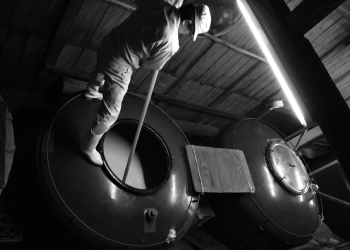 We hope you enjoy the pure sake flavor carefully crafted by our kurabito workers. How many people can attend one tour? We can accommodate up to 40 people maximum. What are the tour's available hours? We offer the tour between 10 am to 4 pm. I will consider it as lunch time 12 to 13 o'clock. We do accommodate walk-in tours, however, we recommend making a reservation either by telephone or email. Please call for a last-minute reservation.